Now demolished as the derelict site next door is redeveloped into smart flats. This has all the potential to be a great pub, but it is hampered by the long standing vacant building site next to (and behind) it! Ignore any of my reviews below, I haven't been in this pub for about a year due to the way the Eastern European owners treat their staff! 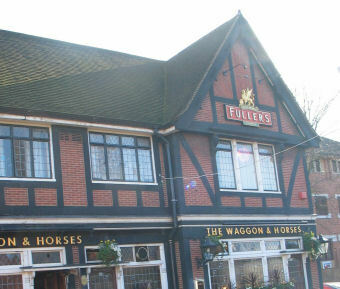 The below reviews are very accurate - this Fuller's pub is not one of their best. It has an interesting-ish wood-pannelled interior but a general air of unlovedness pervades the place. Handpumps offering Pride and Chiswick on my visit, with the clip for ESB turned around: not sure whether the Chiswick was keg or hand-drawn, as I didn't have it. 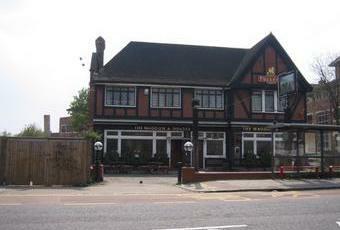 I didn't like any of the pubs I went in on my stroll round Brentford, but this was the best of a bad bunch.